Char-Broil is a privately owned grill how-to company with sales, support, parts for charcoal and gas food preparation. The sixth generation currently runs the American company. Founded in 1948 revenues were reported in as US7.7 billion in 2015. To reach Char-Broil assistance call 1-866-239-6777. You may also find support here and contact help here. To write to CEO, Christine M. Robins address you letter with: Char-Broil, 1442 Belfast Avenue, Columbus, GA 31904. The corporate phone number is 706-571-7000. 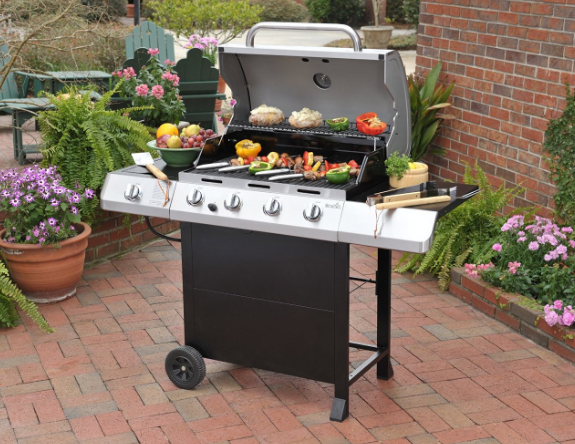 Popular grills include: Tailgate Grill 2GoX200, Charcoal Grills Char-Broil CB940X as well as smokers, roasters, portable and new TRU-Infrared technology products. Social media support is on Facebook, Twitter, YouTube and Instagram. Picked up a new grill on Amazon and had it shipped to my house. When it got here the grill was exactly what I was looking for. Of course, it is a bit cheap in places, but what do you expect for $399? It is not a professional quality grill, but I am happy. We cook steaks and hot dogs on it weekly in the summers. We tried to buy a Charbroil BBQ from your store on 19th street in Moore Oklahoma last Sunday 01/01/2016. I waited for 35 minutes. The cashier came back to us and informed us that he was unable to sell us a BBQ today as no one in the store could get one off of the rack. I then went to the customer service area and asked to speak with the person in charge at that time. Rebecca came up to us about 13 minutes later and told me that their was no one in the store that was trained to run the lift for pulling the BBQ off of the rack. I emailed Walmart and stated let's see if you are all about customer service or the dollar. I have not heard anything from anyone at Walmart. We shop there a lot but are now going to use other store's for our families needs. We will go to Amazon.com or directly to Charbroil to buy the BBQ. The dollar must have one, sadly if you don't have happy customer's you won't have money. I bought a new Char-Broil grill from sears about 5 years ago and the bottom frame is all rusted out and cant be fixed. The burners hardly work and there guaranteed for 10 years. I paid about $700 and would like a credit to use at sears for at least $350. I needed a grill so that I could arrange for get together in my garden. Char-Broil Patio Bistro Infrared Gas Grill was the best choice I had. Easy to ignite and easy to keep clean. Really great for cooking steaks, hamburgers and chicken too. Small and fairly easy to move around. Really satisfied with this grill. The cooking is easy on it and cooks every part very well. It is a good value for money and one doesn't have to worry about cleaning. That also is easy. i would definelty use this going forward for quite many times and would suggest this to all. I bought a Char-Broil grill at Lowe's last year. So far it's been nice but at times the grill seems cheap. For example, my main complaint is that after only a short few months, the grill began to rust over a bit in the elements. The top and sides had rust spots, which makes me think it was cheaply made. The reviews of Char-Broil online are overall very positive though.